Where Do we go From Here, America…Will There be Anything left? Public statements made by Alderman Roy Centeno claiming of his proud moment was for voting two of Former Mayor's annual budgets and we all certainly know of the inclusion of waste being the major part of those budgets. He also was proud to vote for the blight ordinance which included the city's purchase of the Berkowitz building touting the takeover by a developer that never materialize. What the Alderman is famous for, is a widely known fact, of his being a delinquent tax payer. How does a liberal become a "conservative?" Today's Herald account written by Robert Storace citing Aldermen Carlozzi as being " A Fiscally conservative approach." What reporter Storace misses in his article is the very fact that Carlozzi had engaged with his fellow Democrats caucuses before the start of each common council meetings and knew how the Democratic control common council was voting therefore, he would vote no to give himself the conservative appearance that Robert is so free to paint this ultra liberal. Carlozzi did in fact painted himself into the liberal corner by being "quoted" that he supported former mayor O'Brien's push for the blight ordinance when in reality ordinances were already in effect and on the books without any need for correction or addition. In fairness, the alderman must be commended for his supporting the lateral transfers to the city's police department which saved the city many training dollars for these applicants, and for his supporting the Costco store to be erected in New Britain bringing to the city the much needed tax dollars. Unfortunately, this writer cannot vote in ward 5 but trust that the voters who do, in that district, should be very careful on who they select to support in the January 7th. election. Recent local newspapers accounts cited that the common council leadership voted Mrs. Jessica Gerratana as the common council's new administrative supervisor. She is the niece by marriage to of the common council's Majority leader Suzanne Bielinski, and with the local newspaper accounts reports has it that she pushed for her nephew's wife's appointment with her also taken part of the interviewing committee process but, did not participate in the final common council vote as previously reported by the local newspapers . What is extremely disturbing is the fact that the common council's Democratic leadership granted an eleven thousand dollar raise to the position without her spending day on the job. Still outstanding is the FOI complaint against the former Mayor's hiring her Graphic Arts Company for the purchase of street campaign signs for an enormous questionable amount. Last week, the Board of Directors of the Greater New Britain - Berlin Chamber of Commerce chose its new president. The Board chose, former New Britain Mayor, Timothy T. Stewart. The COC Board comprises successful business leaders from throughout the region. Reporting on this news, one local newspaper writer chose to ask for comments from two partisan Democrat political hacks, current New Britain State Rep. Rick Lopes and current New Britain Alderman, David DeFronzo. Lopes, a former New Britain Alderman under Mayor Tim Stewart and former Aide under State Sen . Donald DeFronzo is most infamous for his ethical lapses while an alderman and the same while he was an Aide to State Sen. DeFronzo. He was reprimanded for his transgressions. Said David DeFronzo about Stewart, "I can say without hesitation that he is a very polarizing public figure," "He has not had an effective working relationship with many of our state and local officials, and I don't see how that can possibly be of benefit to the chamber or its members. I ask, Dave, why don’t you name at least one of each kind - local or state? "DeFronzo said that he's concerned about the possibility of a conflict of interest concerning any tax money the city gives to the chamber, and that the council should review the matter. Now while I respect DeFronzo’s “rights”, he is little more than a political diletante. While on the Council under Stewart he supported all of Stewart’s budgets; regarding conflicts, DeFronzo had no problem voting to appoint his father in law to be Council Clerk and said nothing about Majority Leader Suzanne Bielinski’s and Mike Trueworthy’s appointment of Bielinski’s niece (by marriage), Jessica Gerratana to be Common Council Secretary, at an inflated salary. Right Dave, you know about conflicts and polarization! At this point, forget about what Lopes and DeFronzo say, their words are vacuous, rather, know what they do and judge them by their works. Leaders call for border accountability in AZ. 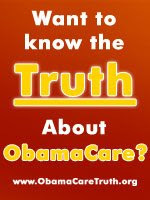 Obamacare as a failure will soon become known to us all. In 2014 people with aids and cancer will become too costly to care for and will be left to die without any care whatsoever. Could it be the surjection of the Death panel we all heard about in the news? The president has cited that Obamacare is in fact law of the land. Must we remind the president, that the seventeenth amendment was also the law of the land, and it was so disliked by our citizens that they had the 21rst amendment to repealed the 17th? So, Mr. President, we the people can repeal your forced care onto"we the people "with an amendment to our Constitution. 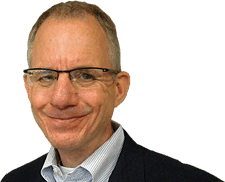 NORM PATTIS: Awash in lawyers, why not close UConn law school? With the affordable care act. Mr. Frank Maccarone along with his partner arranged to offer their building, on Whiting Street, to the city for the purpose of using the building for the homeless during the extreme cold winter season at no charge to the city. It also provides double showers to accommodate both males and females. It is wonderful jester on Frank's part to help out our city, during the extreme cold weather, and it was very unfortunate, that the former city administration referred to him as a "slumlord" when in reality he is a large city property owner and taxpayer. Wouldn't You Want Your Daughter To Be Able To Protect Herself Too? Joe asks for 6 months of retraining for 'Cattle Guards'! You will love this one; I haven't stop laughing yet. For those of you who have never traveled to the west, or southwest, cattle guards are horizontal steel rails placed at fence openings, in dug-out places in the roads adjacent to highways (sometimes across highways), to prevent cattle from crossing over that area. For some reason the cattle will not step on the 'guards', probably because they fear getting their feet caught between the rails. (People in the south also know what cattle guards are. 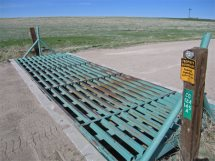 A few months ago, President Obama received and was reading a report that there were over 100,000 cattle guards in Colorado . The Colorado ranchers had protested his proposed changes in grazing policies, so he ordered the Secretary of the Interior to fire half of the cattle guards immediately! And these two guys are running our country. BRISTOLTODAY.COM: So, like, is somebody supposed to clean this thing? Suzanne Bielinski - a strong supporter of O’Brien and voted for his budget, she spoke mostly about her dedication to the Public Safety Departments. Shirley Black - one of her proudest votes on the Council was voting for the Mayor’s (O’Brien) budget. He (O’Brien) did not raise taxes. Carlo Carlozzi - voted against passing the 2013 - 2014 budget . His seat in Ward 5 has yet to be settled. Roy Centeno - A strong supporter of Mayor O’Brine’s policies, Centeno said voting for the Mayor’s (O’Brien) $237 million dollar budget was the vote he’s most proud of. His seat in Ward 5 has yet to be settled. Tonilynn Collins - She is proud to have supported Mayor O’Brine’s budget and his bonding for textbooks. David DeFronzo - ... strongly supported Mayor O’Brien’s budget , also ... bonding for textbooks, etc. Eva Magnuszewski - ... she was “proud” to support the Mayor’s (O’Brien) budget and several bonding proposals. Adam Platosz - Voted yes on O’Brien’s budget but against bonding for textbooks; the general budget he said was fair. We did not, he said as some people are screaming, raise taxes, in fact, he said, voting for the budget was one of his proudest. Manny Sanchez - generally supported O’Brien’s and polices; nothing to say about budgeting although he voted for the budget. His proudest Council vote ; he was one of few Council Democrats to vote in favor of COSTCO when Tim Stewart was Mayor! Mike Trueworthy - A strong supporter of Mayor O’Brien and proud of voting yes on O’Brien’s $237.5 million dollar budget. Jamie Giantonio - Voted against O’Brien’s budget for 2013 - 2014. Wilfredo Pabon - strong supporter of the Police Department and Chief Wardwell Though he voted for the budget, he does not support O’Brien’s reelection and will not support his slate. Pabon is a strong supporter of Mayoral candidate, Erin Stewart. She’ll return transparency to City Hall. As the weeks go by more information will be exposed as to the shoddy budgeting practices of the O’Brien administration and those on the Council that supported these practices blindly. In addition, New Britain residents will learn more about the largesse heaped on O’Brien’s “cronies” with their no show, no product jobs they held. Much still has to be learned and exposed about lucrative raise given to certain City Hall personnel. The ten remnants of the O’Brien administration still on the Council will never change ... time will prove this correct. People of New Britain, don’t allow this travesty to continue, use your vote for positive change. Considering that the 10 remaining O’Brien Democrats have already hired Larry Hermanowski and Jessica Gerratana for Council positions, it appears they will continue with their practices of cronyism and nepotism. Do you really want people like these ten Democrats representing you in New Britain? Vote for freedom! More Of " Doc Shock"
While attending to my needs a practitioner, who shall remain nameless, expressed concern over my blog article using Catherine Ham's reference to the "DOC Shock" raise his concern. He was very frightened over the fact that many doctors would apply for jobs at many of our country's Universities that have better credentials and fears that he may face the unemployment lines. Needless to say that his capability as a practitioner has been beyond approach but, he does fear the effects of the Obama care will tend to bring an onslaught of doctors, looking to avoid the lower fees recommended by the President's plan, which may place him in the unemployment lines. Ms. Ham was absolutely correct when she referred to " Doc Shock" is the next issue that the President will be forced to deal with. Obamacare following issue will be the "DOC SHOCK" as stated by Mary Catherine Ham and coined by her. Many Doctors will leave their profession, just like Canada, because the low rates proposed by Obamacare to the doctors. The poor will suffer from the lack of doctors accepting to provide them with the services they need.